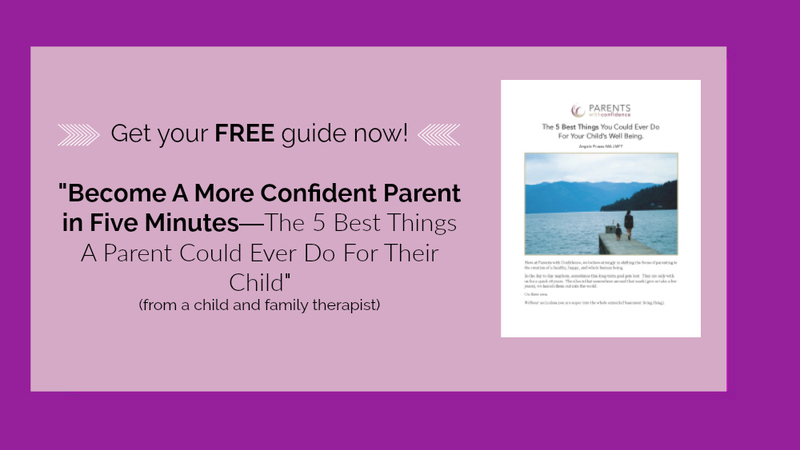 Inside: Learn 3 factors essential for raising a daughter who has the ability to cope with emotions in a healthy and productive way. The messages are utterly confusing and start from a surprisingly young age. Our culture is not known for its tolerance of emotion. After all, emotions can be loud. Emotions can be messy, and emotions can be challenging. Look no further than your neighborhood park to observe the overt discomfort parents’ display in response to a small child’s expression of emotion. If you are a young female, odds are, you are caught up in this crossfire of contradictory messages in more ways than one. Why the focus on girls? Because, statistics. We have reason for concern that the chronic avoidance and minimization of feelings is of particular detriment to our girls in certain regards, as research has long indicated that girls are significantly more likely to develop an anxiety disorder and have rates of depression in adolescence that are two times greater than males. They also struggle with a myriad of complex dynamics in their social development. Gaping hole indeed. 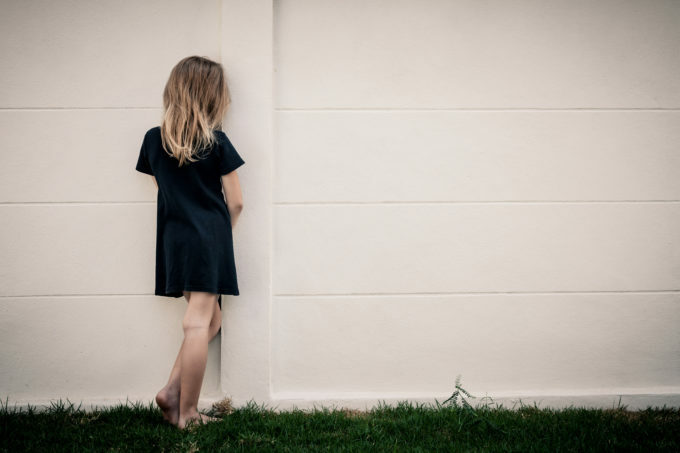 We continue to observe girls struggling to identify, accept, and properly cope with challenging emotions, and in fact, many times actually see them ignoring, minimizing, and devaluing their feelings. 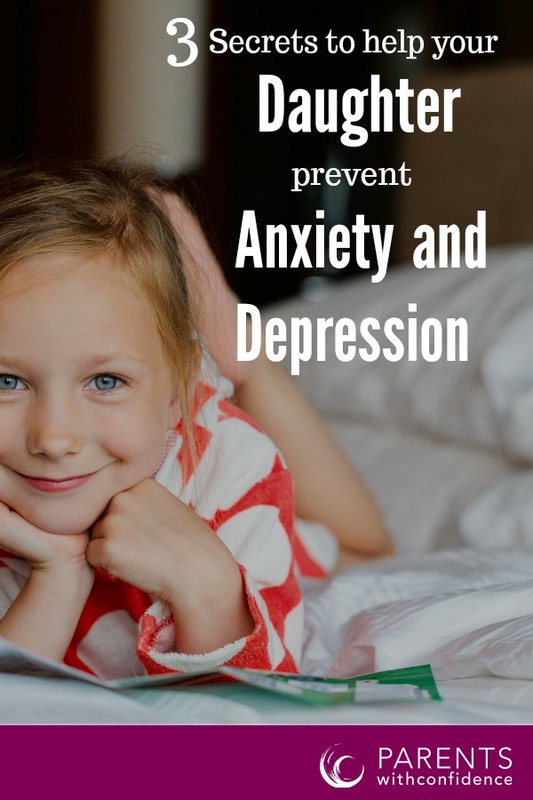 So what is the key to avoiding the path of anxiety and depression for your daughter? Emotional intelligence, or the ability to understand and manage our emotions, is a strong predictor of future success and well-being. 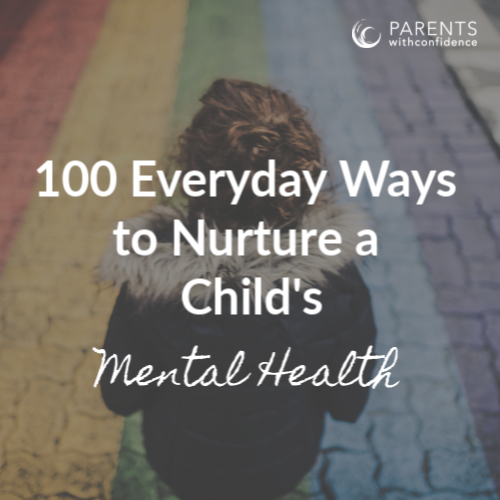 When we make this a priority for our daughter’s, we start to lay the groundwork for emotional competence and healthy coping skills. Let’s talk about 3 ways parents can make a huge difference in their daughter’s emotional lives, by laying the foundations of emotional intelligence. There is perhaps nothing more universal among humans than emotion. Our feelings are a part of us, and to shut ourselves off from certain emotions is to shut off a part of ourselves, creating a dangerous recipe for stuffing (or internalizing) our feelings. Yet from a young age, girls learn that complicated feelings such as anger and jealousy seem to be off limits and looked at as negative by adults. This leads to patterns of denying and avoiding our emotions, which is a slippery slope for our girls toward anxiety and depression. Parents can turn the tides of this pattern by affirming that all feelings are normal and helping their girls gain mastery in the language of emotions. When our daughters are given the language to identify all their feelings, they are given the power to understand and manage their complicated inner lives. We know that when we verbally acknowledge an emotion we’re experiencing, it actually sets off a series of neurotransmitters which act as a calming agent to the nervous system. What can parents do when it comes to teaching acceptance and identification of emotions? *Stay calm when your child is in the midst of an emotional storm, you are the lifeline they desperately need to get back to shore. *Remain present throughout their outburst, demonstrating to them that you are there to support them with intense emotions. 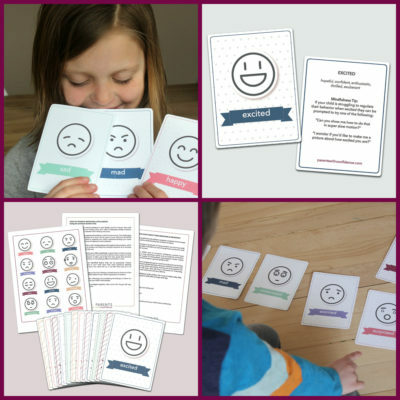 *Use books and visuals to help identify and label emotions accurately. Doing so helps girls to develop a wide emotional vocabulary to express themselves with. If we were asked to list out our go-to coping strategies when stressed or overwhelmed, the list might range from binge eating our child’s stale Halloween candy all the way to yoga and meditation. The more we know ourselves and how we function under stress – including tendencies, both positive and negative to manage it – the better we can learn to take care of ourselves. How can parents help when it comes to teaching healthy coping mechanisms? Starting from young ages, girls learn to tolerate a wide range of emotions through exposure to coping strategies helping them ride out the wave of overwhelming feelings. We know from research that when girls are able to problem solve and access an arsenal of healthy coping tools, they are less likely to engage in unhealthy means of coping: i.e. food, self-harm, drugs to name just a few. The list of coping and calming techniques is endless and is only limited by what soothes and comforts your daughter’s body, mind, and senses. Providing the space, materials, and encouragement to your daughter in an effort to help her learn what grounds her while she is young will serve her emotional well-being for life. Hands down, the most powerful lessons our daughters will learn about coping with their emotions will come from watching the adults in their lives. If parents aim to model healthy coping strategies for their daughters, they must come to terms with their own beliefs and personal narratives around girls and the expression of strong emotions. 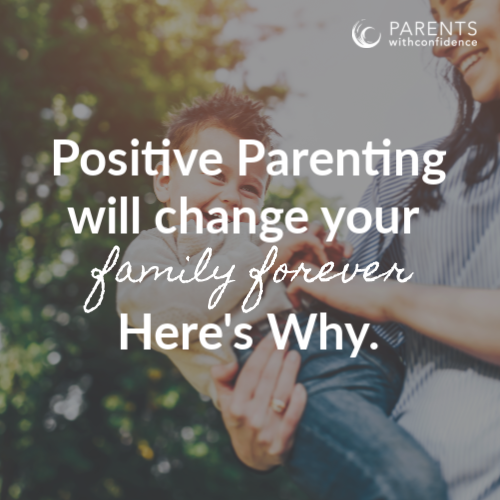 How can parents ensure they are modeling healthy attitudes on emotions? Was open expression of emotion tolerated from females around me when I was young? How were expressions of anger or sadness met in my family? Am I unintentionally passing on unhealthy messages about emotion? Am I modeling the coping skills I aim to teach my daughter? The best thing a parent can do to model and enrich their daughter’s emotional experience is to practice empathy. When we aim to understand and share in her feelings, we demonstrate that her feelings are valid, and thus that she as a human being has validity as well. Help a girl accept her emotions, help her accept herself. Raising a daughter in the modern world can feel scary. It’s empowering to know that as parents we may not be able to prepare the road for our daughter, but we can certainly prepare our daughter for the road. Want to raise a confident daughter? >> Here’s your Foolproof Guide!! Check out The ABC Alphabet Book of Confidence!! Hi Kathleen, I am planning on writing something for boys and emotions very soon. Thanks for the feedback!